First, welcome to those visiting us in search of zombie jokes. The number of visitors to our site has leapt up over the last couple of days thanks to us being linked to in an internet argument about zombie jokes. Strange, but true. Today we decided to continue another theme started in Poland – pancakes – and have a lunch of crepes. In Poland we created the Copernicus Effect which states: A food item’s yumminess increases in direct proportion to its proximity to pancakes. Today’s testing continues to validate this important scientific principle. 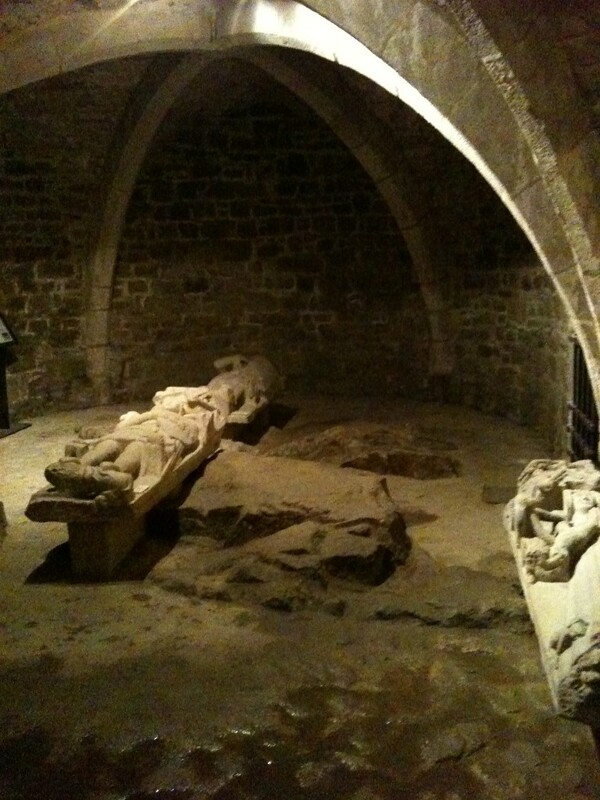 Not really a crypt, but it was really the prison. Brittany is famous for its crepes so finding some for lunch wasn’t exactly a difficult undertaking. In fact there’s a creperie just behind our house, and that’s where we went. Our first course was a galette, rather than a crepe. A galette is a large savoury pancake made with buckwheat flour. It is often served ‘complete’ which means with cheese, egg and ham. 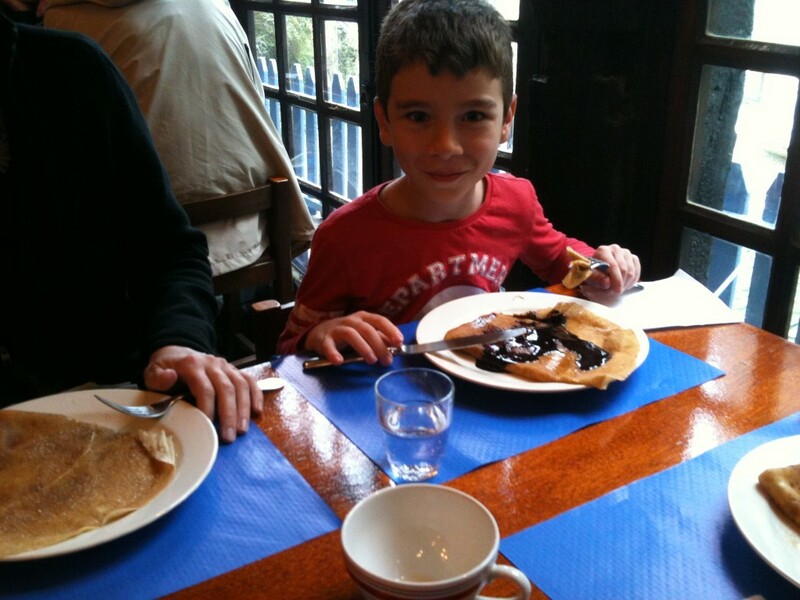 For dessert we had a more traditional crepe which is smoother and of course had a sweet filling – sugar for everyone but Declan, who went for chocolate. In addition to trying pancakes as we travel we have seen a great many castles. Today we added another to our list with Dinan Castle. The castle dates back to the 14th Century and is very well-preserved; almost too well-preserved in fact. Having seen more than our share of castles we weren’t exactly blown away by Dinan Castle. However, there were two excellent features which we haven’t seen much of as they generally don’t seem to get preserved. The first was the kitchen complete with huge fireplace, well, and storage cupboards. 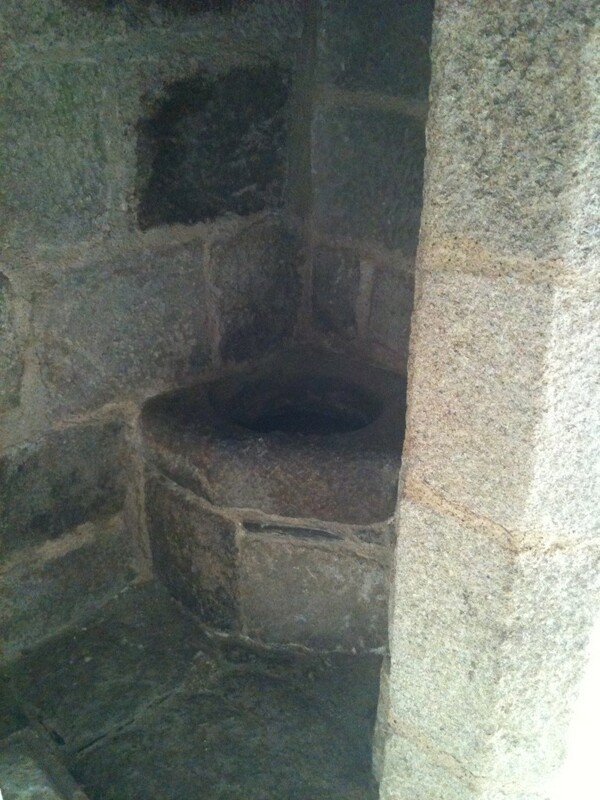 The second was the garderobe, the toilet, of which there were several examples – all looking very cold and draughty. One reason that the boys were less than excited by the Castle was that just beneath its walls was a fairground. This was a classic travelling fair where you could win all sorts of rubbish by shooting balloons or fishing for ducks. 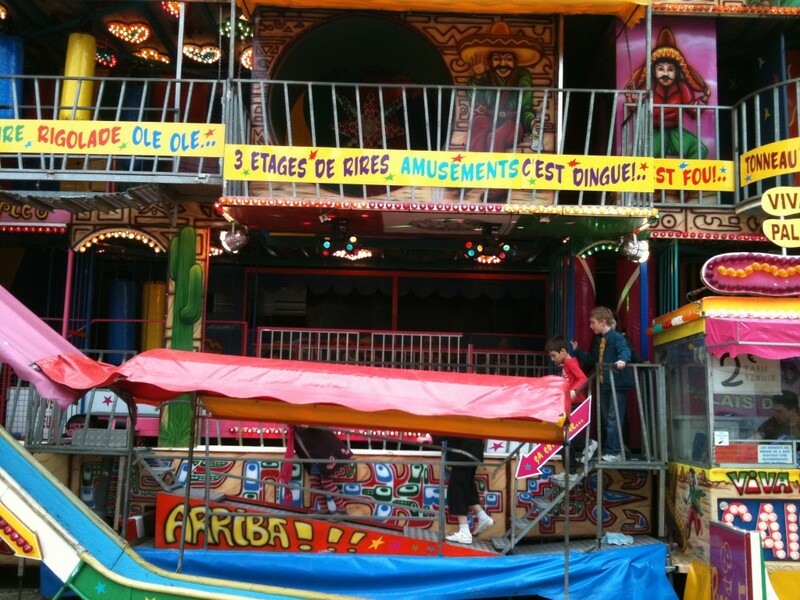 There were dodgems and rides that spin and food galore. The boys went through this huge contraption that was like a haunted house but with lots of different obstacles to negotiate all with a Mexican theme. Hard to describe adequately, but enormous fun for them. After doing that one we told them they had to spend their own money for any other rides. Callum immediately decided he’d had enough. Declan went on the dodgems, not once but twice because it was “just toooooooooo fun”. What does the zombie arguing about zombie jokes say? Inane, inane.